BERYL W. SPRINKEL has given up on monetarism, at least for now. He said as much in a speech recently and stirred some excitement because of who he is. Not only is he the possessor of the most striking public name since Orval Faubus ; he is the chairman of the Council of Economic Advisers and presumably talks things over with President Reagan, so what he says may foreshadow a shift in Administration policy. Monetarism has had the great tactical advantage of massaging the egos of the wealthy, and especially of conservative bankers who serve the wealthy. It has as many definitions as it has definers, but all of them are based on the Quantity Theory of Money, a very old idea that treats money as simply another commodity. It then seems plausible to say that at any given moment a country has a certain quantity of money and a certain price level, at which, for example, a subscription to THE NEW LEADER costs $24 (and is a bargain). Suppose that at midnight tonight President Reagan or Federal Reserve Chairman Paul A. Volcker or the Sugar Plum Fairy decreed that every dollar you have is hereafter worth two dollars. Would you now be able to buy two subscriptions, sending one to an intellectually needy friend? Not likely. The first order of business at 275 Seventh Avenue tomorrow morning would be to raise the subscription price to $48. The same thing would happen throughout the economy, so that, subject to considerable slippage because of existing contracts, doubling the quantity of money would merely double the prices of goods and services. The plausibility of the theory was great in the days when money appeared to be merely a physical object-gold, silver, seashells, or whatnot. But money never was merely a physical object (for reasons, I refer you to my book Economics: What Went Wrong and Why), and it certainly is not now. It is, as the late Professor John William Miller said in The Midworld, a functioning object. That is, it is an object, all right -a piece of metal, a piece of paper, a blip on a computer screen-but what matters is how it functions, not its physical composition. It is not simply another commodity; it is a standard or a control, as is, say, language or a yardstick. A language functions whether it is embodied in sound waves or marks on paper, and a yardstick functions whether it is made of maple or stainless steel. Of course, it doesn’t much matter what a hammer is made of, either, but a hammer is merely a useful tool (glue, or nuts and bolts, could do the job as well as nailing), while nothing can be built-space cannot be organized-without some measuring object. This may sound pretty metaphysical, and it is, but I’m afraid we must go a step further in that direction. The Quantity Theory will acknowledge that, as a practical matter, it is difficult-indeed impossible-to count the amount of money a nation has. The very existence of the different quantities – M-l, M-2, M-3, and the rest – underlines the point. On the other hand, it is also impossible, as a practical matter, to count the number of electrons in a burst of energy. With electrons, however, it is possible to say that there is a definite number (despite our not knowing precisely what it is), that the number stands in some definite relation (which may also be unknown) to something else, and that therefore we can construct equations capable of yielding reliable predictions. The trouble with money is that there is not ever a definite amount of it, just as there is not ever a definite number of thoughts expressed in language. Like language, money doesn’t even exist except as it is functioning. “If the coin be lockt up in chests,” wrote David Hume, ‘” tis the same thing with regard to prices as if it were annihilated.” What is true of coin is surely true of credit, the fundamental form of money. This truth reveals itself in two consequences, one theoretical and one practical. The theoretical consequence is that the attempt to state the Quantity Theory in an equation (MV = PY) results in a sterile tautology. In words, the equation says that the quantity of money (M) times the velocity of its circulation (V) is equal to the general price level (P) times the goods produced (Y). For a fuller explanation I must again refer you to my book; but for present purposes it is enough to see that MV’=PY essentially says that the amount of money paid for goods is equal to the sum of the prices charged for them – which is not much to say. Practical trouble comes when the attempt is made to use MV =PY as a guide to public policy. If your purpose is to increase production, you look at the equation and decide that all you need to do is to increase the money supply or speed up its circulation, at the same time holding the price level down. On the basis of historical studies that made his reputation, Professor Milton Friedman concluded that the economy could not sustain a steady growth faster than 3-4 per cent a year, that therefore the money supply should be expanded at that rate, and that any faster rate would be inflationary. 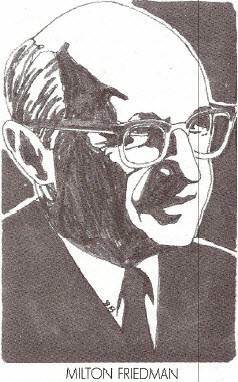 From Jimmy Carter’s appointment of Federal Reserve Board Chairman Volcker in 1979 until Beryl Sprinkel’s speech this summer, Milton Friedman was the guru of American economic policy (he is still a guru in GreatiBritain). These seven years have not been an unruffled calm. At the start, the prime rate jumped from just under 10 per cent to 15 per cent, and continued upward until it hit 21.5 per cent after the 1980 election. The inflation rate followed (note the emphasis, which we may examine another day), reaching about 13.5 per cent at the end of Volcker’ s first year in office. Then we had the deliberate depression of 1981-83, driving unemployment from a little over 6 million in 1979 to almost 12 million in 1983. Since that time we’ve had something called “recovery,” punctuated by happenings called “growth corrections,” with unemployment still over 8 million, even counting part-time dishwashers as employed. During these seven years Friedman has steadily complained that his religion was hardly being tried, and that Volcker was a false prophet. For though Volcker’s policy has been to stop worrying about the interest rate and instead to control the money supply, he never has come close to bringing the yearly increase of M-1 or M-2 down to 4 percent. Consequently, Friedman has been in the comfortable position of taking credit for whatever has turned out well, while disowning whatever has gone wrong. IN FAIRNESS, Friedman’s gospel has been more modest than that of his followers – a not unusual situation in the history of religions. He argues that because government does not handle money as well as profit-seeking individuals, it should do the barest minimum and should be constitutionally required to balance its budget. His argument in favor of a fixed rate of expansion in the money supply is basically that discretionary control by the Federal Reserve Board has been so awful, almost anything would be an improvement. Nevertheless, the reasoning behind a low fixed rate of expansion is based on MV = PY: If the money supply expands faster than production, the price level must rise. If, however, the price level remains constant, a monetary expansion would necessarily expand production. For a considerable period now the price level has remained constant, or as near as doesn’t matter, while the money supply has been increasing twice or three times as fast as Friedman recommends. If the professor had his theory right, we should be experiencing the biggest boom in history. It seems the boom isn’t happening or about to happen, so Sprinkel has given up on monetarism. What went wrong? Well, I’ll tell you: The monetarists have their metaphysics wrong. Money is not a commodity, it is a functioning object. You can’t count it; you use it to do your counting. Since you can’t count it, you can’t fit it into an equation. Beryl Sprinkel is gradually waking up to this fact-and, presumably, his boss is too. Now, that’s dandy; better late than never, and all that. Except the awakening comes after a night that has destroyed forever the livelihood of millions of older men and women, and has condemned millions of younger men and women to a lifetime of hanging around street corners. It has made a few rich people very rich, and many poor people poorer than ever. It has deliberately stagnated the economy, with the result that in five and a half years the actual GNP has run roughly a trillion dollars less than potential GNP. Simultaneously, another trillion dollars has been taken out of the civilian economy by heating up the arms race. Finally, as a third trillion dollars has flowed into the stock markets, the rate of investment in productive enterprise has fallen. So they goofed. So who’s perfect? The trouble is, none of this grief was necessary. As early as a speech Knut Wicksell made on April 14, 1898, it has been clear that banks don’t create money, business does. The textbooks continue to say banks create money by making loans, but Wicksell showed the initiative comes from businesses that want to borrow, not from banks that want to lend. Writers as various as Hayek and Keynes developed the idea, and businessmen have always known in their hearts that it is true. Only a fool or a knave borrows money simply because a bank wants to lend it. The banking system can stifle an active economy with high interest rates, but it takes more than low rates to breathe life into a dormant economy. What does it take? Good morale. Keynes talked of “animal spirits”; unfortunately the expression has the flavor of a biologically determined force that could be let loose if you changed your breakfast cereal. 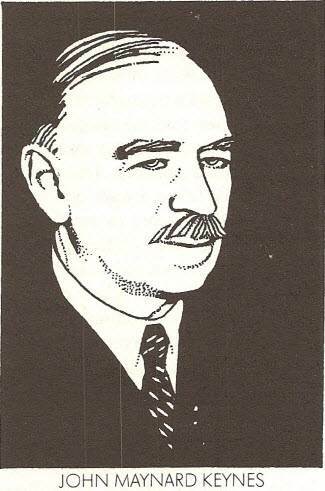 The neoclassical “Keynesians” (who try to press Keynes back into the mold of a classical economist) emphasize incentives to investment, like tax credits; regardless of the incentives, though, investment has languished. Friedman has permitted himself the observation that rather than money, “The real wealth of a society depends much more on the kind of institutional structure it has, on the abilities, initiative, driving force of its people, on investment potentialities, on technology on all of these things.” Yet he would forbid corporations to concern themselves with the moral consequences of their business, to engage in unpaid public service, or to exercise charity. What is left? The naked bottom line. And what is the naked bottom line? Greed. Morale is related to, but different from, morals. Greedy people are not necessarily immoral, just as self-sacrificing people are not necessarily moral. But the morale of greedy people is bad. Their universe is ungracious, ungenerous, constricted, pessimistic, often cynical. As it happens, greedy people are in the ascendance in America today, and the fact of the matter is that the economy has gone just about as far as it can go on the greed standard. The economy is stagnant because its rewards are outrageously skewed in favor of those who already have more than they know what to do with. According to the monetarist theory, these people should be putting their extra money into stepping up production, for the ultimate benefit of all. But they are not fools. Twenty-two per cent of the nation’s industrial capacity is already standing unused: What would be the sense of producing more things no one can buy? So the extra money goes into speculation, an activity that incidentally increases the cost of capital and further inhibits enterprise. It would be pretty to think that, in giving up monetarism, the Administration will reverse itself and try to rationalize the distribution of income, thus incidentally increasing demand. But the probability is otherwise. Our morale has been so corrupted by the ideal of private greed that it will no doubt be decades before we enjoy again the eagerness with which we once faced the world. I agree with George P. Brockway’s conclusion that “policies like the human rights program are precisely what is needed, while unleashing the CIA will damage us severely” (“Foreign Policy in a Bipolar World,” NL, January 12). But it seems a gross exaggeration to attribute the decline of Eurocommunism or the survival of Spain and Portugal outside the Russian orbit to former President Carter’s human rights program and the Helsinki Final Act. While it may be easier to arrange “for our enemies to have enemies” than to increase the number of our friends, there is little evidence that this can be achieved by trumpeting the human rights cause. To direct human rights policies” more toward making the USSR mistrusted than toward making ourselves beloved or feared,” depreciates their value. The best argument for a human rights program is not that it makes enemies for the Soviet Union and friends for the U.S. Human rights are intrinsically good, like international economic prosperity and the absence of world war. They are invaluable, not only because we like them, or because they are the foundation of American independence (“the objective of American foreign policy”), but because the more human rights prevail abroad, the easier it will be to preserve them here. In the many regions that are critical for our foreign policy-the Middle East, Africa, Central America, Eastern Europe, South Asia-human rights are endangered not only, or even primarily, by threats of Soviet subversion or penetration. The greater danger is that human rights in these crucial areas are imperiled by economic and social disequilibrium. A credible human rights program cannot be separated from concern about and involvement in efforts to achieve more equitable social and economic systems in the destabilized regions. President Carter’s human rights program was so selective that it seemed deceitful to many in the Third World. It was too obviously a propaganda weapon aimed at discrediting the USSR by focusing on Communist betrayal of freedom, while giving little if any attention to identical or even worse violations by regimes that were supposedly our friends-Iran, China, Korea, the Philippines, and others frequently cited by Amnesty International. Are Arabs, Indians, Latinos, and those to whom the Voice of America sends news about our human rights concerns supposed to take protestations about Soviet dissidents seriously when they fail to hear of our concern about their dissidents? Carter’s human rights program also failed to link the rights of free speech, free press, free assembly, and free political organization with the rights to work, eat and grow old with dignity and security. In much of Africa, the Middle East, Asia, and Latin America it will be difficult, perhaps impossible, to achieve the first category of rights without the second. A credible human rights program cannot be selective; it must demonstrate concern for the rights of all, and must also seek the right to survive with dignity as well as to protest the misdeeds of oppressive government. Otherwise, the foreign policy advocated by Brockway will be perceived by most of the Third World and much of the rest of the world as mere rhetoric. 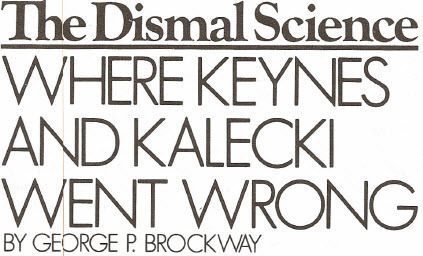 George P. Brockway’s article is full of provocative statements. Many of them I agree with, but not all of them can be logically advocated at the same time. I most certainly agree that promoting human rights is not merely moralizing, that this can serve a number of important foreign policy goals. For example, because the Carter Administration took human rights seriously in Latin America, our diplomatic and economic interests were advanced. As a number of countries successfully navigated the difficult transition from authoritarian to democratic rule (Dominican Republic, Ecuador, Peru), we were able to construct a series of close working relationships which immensely improved our diplomatic strength. 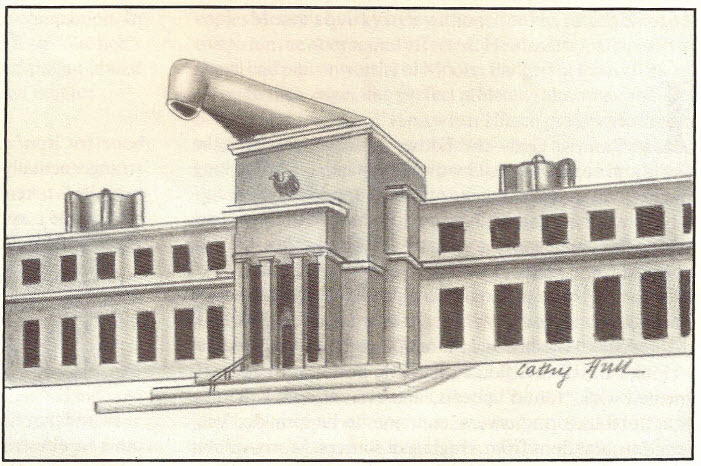 With the United States no longer identified as a close collaborator of every dictator, American businessmen found a friendlier environment; in Latin America, no major investment disputes developed over the last four years. I also agree that the United States too often places great stake in the momentary political posture of Third World governments. Treating the world as a zero-sum game, where the “loss” of any state is automatically a gain for the Soviets, the United States has squandered great energy and resources in trying to control the domestic politics of an innumerable number of developing nations. Yet the inherent economic and military importance of these nations, more often than not, is marginal to any reasonable definition of United States interests. Moreover, even if a nationalist government should come to power, whether of the Right or the Left, the chances are very great that it would still want to participate in the international economic system. It would want to trade with U.S. firms and to borrow from U.S. banks, and have no choice but to pay the interest rates established in the London money markets. Very few leaders in the developing world consider either autarky or the Soviet-led COMECON as an alternative to the Western economy. Indeed, even Communist countries-from Hungary to China are anxious to increase their participation in what has become a global economic system. Brockway is also correct, in my opinion, to argue that an aggressive foreign policy, perhaps resorting at times to covert action, can too often be counterproductive. The Soviets and Cubans were active in Angola before South Africa invaded in 1975, but there is no doubt that the Cuban presence was legitimized in the eyes of most Africans by the South African invasion and the CIA presence. Even when covert operations succeed for the moment, the future can bring disaster. In Central America, an active CIA has helped maintain conservative, generally military governments for decades. But now Somoza is gone and El Salvador today-or Guatemala tomorrow-faces a powerful insurgency that views the United States as the major source of succor for their oppressive governments. Iranians remember all too well our long collaboration with the Shah and his secret police, SAVAK. 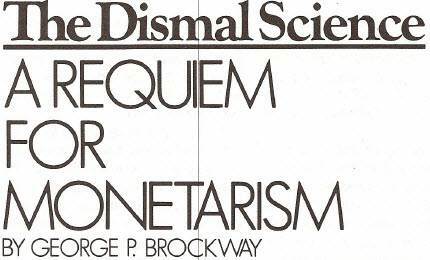 In arguing that the Soviets will often find that client states cost more than they are worth, Brockway offers a useful corrective to those who present each Soviet “gain” as a trauma for the West. The Soviets are undoubtedly finding their foreign obligations to be a major drain on their limited resources, and must be wondering whether an expansionist foreign policy is really in their interests. Nevertheless, I am not sure that the United States can be quite as relaxed about Soviet activities in the Third World as Brockway seems to suggest. Especially when Soviet actions take a military form, we ought to register loud disapproval. If we are to establish “rules of the game” for superpower activity in the Third World, constraints must be placed on both the Soviets and on us with regard to the use of force in there. If the Soviets do not desist, the pressure will continue to mount for the United States to respond in kind. Yes, our interest should be in seeing that Third World states are independent states, not clients of any superpower. As Algeria recently demonstrated in helping to gain release of the U.S. hostages held by Iran, genuinely independent countries can often be more useful than “loyal” allies who enjoy little respect in the world and have essentially passive foreign policies. 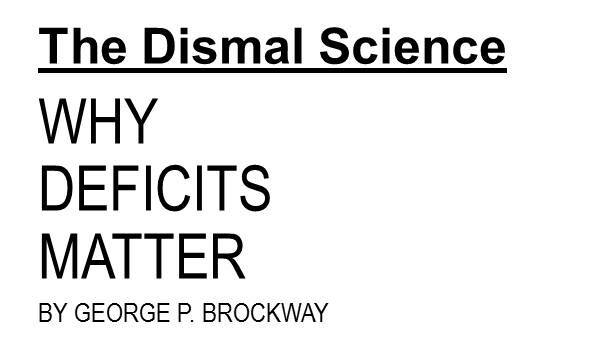 Yet this formula for genuine nonalignment is not consistent with Brockway’s view that we live in a bipolar world. In a bipolar world, it becomes extremely difficult for relatively weak states to avoid seeking the protection of one of the two superpowers. Each superpower logically sees the disengagement of any country from its sphere of influence as a “loss,” a weakening of its alliance system. Each superpower will therefore struggle, using various means, to maintain its friends in power around the globe. Fortunately, today we live not in a bipolar nor even in a multipolar world, but a poleless one. Power has become so diffuse that many states have accrued significant quantities of it. Countries such as Mexico, Brazil, Argentina, Nigeria, Libya, Iraq, and India have enough power to try to maneuver international events in accordance with their national interests. Smaller powers in their areas recognize the presence of the regional “influentials,” and must· adjust to this. In the past, we mistakenly imagined that we could manipulate these regional “hegemons” to do our bidding. In fact, they have proven capable of defining their own foreign policies in the light of their perceived national interests. Their policies have sometimes converged with ours, but frequently have not. A poleless world is infinitely more difficult for the superpowers to manipulate. Either superpower that tries to control events in the Third World today is bound to face frustration and disappointment. For that very reason, if the United States maintains a sense of proportion and keeps its eyes on its true interests, the Third World will be seen as a less threatening place. I full agree with Richard Feinberg that we should “register a loud disapproval” when Soviet actions in the Third World take a military turn, and I expect that he agrees with me that our disapproval should itself seldom take a military or even a quasi-military turn. My fundamental differences from Don Peretz would, however, require volumes to elucidate, though the particular policies we would support are probably very close. In brief, he believes that some things are “intrinsically good,” while I find that the intrinsic goods he mentions are often in conflict. Forty years ago the “intrinsic” good of human rights was in conflict with the “intrinsic” good of the absence of world war. Was one more intrinsic that the other? The inability of “political science” to answer such questions produces the very “unstable amalgam of moralizing and Realpolitik” that I mention in my article.